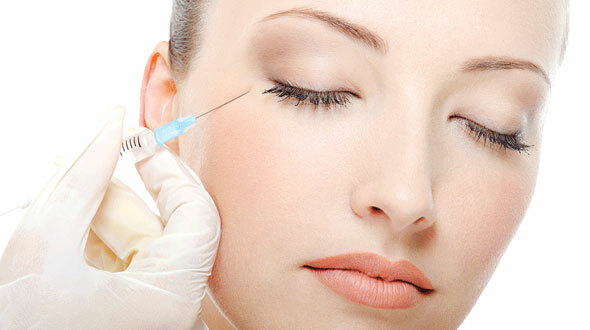 Anti wrinkle injections are used to help reduce the muscle activity that cause a wrinkle when it moves. A typical example is the frown, forhead and crows feet (around the eyes). Although dermal filler can be used to lift the wrinkles in these areas, it is the muscle activity that causes the wrinkle in the first instance. Imagine, you’re walking around in the sunshine squinting from the sun… As you walk indoors your frown relaxes but leaves lines behind etched on your skin. You may look angry all the time or simply look older before your years. Whatever the reason, ‘Anti wrinkle injections (BTX) will stop the muscle movement that’s causing the problem. You will looked refreshed, the skin will no longer crease and will look more you youthful. Typical areas for these include the frown line, forehead and crows feet (around the eyes) in the upper face. All of our medical staff are trained to deliver the treatment in advanced areas include such as the lower face, which are the chin, perioral lines (typically known as smokers lines), nefertiti neck lift for a smoother jawline, masseter (for slimming wide jaw lines, especially for those who clench their jaws), depressor anguli oris (for reducing the jowls caused by making a sad face), bunny lines (to prevent wrinkles appearing on the nose) and underarm hyperhidrosis for reducing excessive sweating under the armpits. Each area is covered in more depth further down the page, including frequently asked questions. The treatment time is typically no longer than 20 minutes. You will want to allow 30-60 minutes for an assessment and application of the topical anaesthetic. Your medical history will be reviewed prior to undergoing any treatments to check for suitability. 6. Finally giving you an after care pack. Is it safe? Anti Wrinkle Treatments have been used since the early 80’s for blepharospasm and strabismus and is now used in several different medical conditions including children with cerebral palsy, and adults with underarm hyperhidrosis (excessive sweating). How long does it take? You will need to allocate about 60 mins to allow time for both the topical anaesthetic, assessment and the treatment itself. Your 2 week review will only take 20 minutes. How much does it cost? Prices start from £100 and increase with in price according to the areas you will want treated. Check out our offers page for additional offers that we give away FREE at various times of the year. You will be given an accurate price during your consultation. We also offer a fantastic referral scheme so if a friend has sent you to us, ask them for a referral card. How does it work? The treatment works by blocking a chemical that causes the muscle to contract. As a result your wrinkle has a chance to relax, heal and smooth out, especially when combined with additional treatments. How long does it last? -The treatment time varies from 6 weeks to 6 months, and is dependent on the treatment area involved, however, the longevity of a treatment will vary from person to person. How will my skin look? – Your skin will then start to look smoother over a period of 3-14 days after the treatment*. You will be able to see optimum results at 14 days, however, this will vary from person to person. Your FREE 2 week review will be due at this time, in order to administer a further treatment to further improve the result. What are the side effects? Common side effects include a headache, and can last a few hours to a few days. Other side effects associated with a simple injection are tenderness, swelling and bruising. The bruising is more susceptible around the eyes, however, your skin will be stretched and inspected to avoid small vessels before administering your treatment. Another side effect that is rare is the possible side effect of an eyelid or an eyebrow droop. We would minimise this risk by working to international concensus recommendations, by using the correct doses and the correct injection sites. Side effects will vary from person to person, depending on your lifestyle and an pretreatment medication that you’re taking.